We were so delighted to join our friends of Makers Collective at their annual business conference, The Makers Summit, in Greenville, SC in early March. The good folks of the Makers Collective sure know how to present an amazing event, and we're delighted to have them stopping by the blog to share a few of their favorite projects from this year's conference. 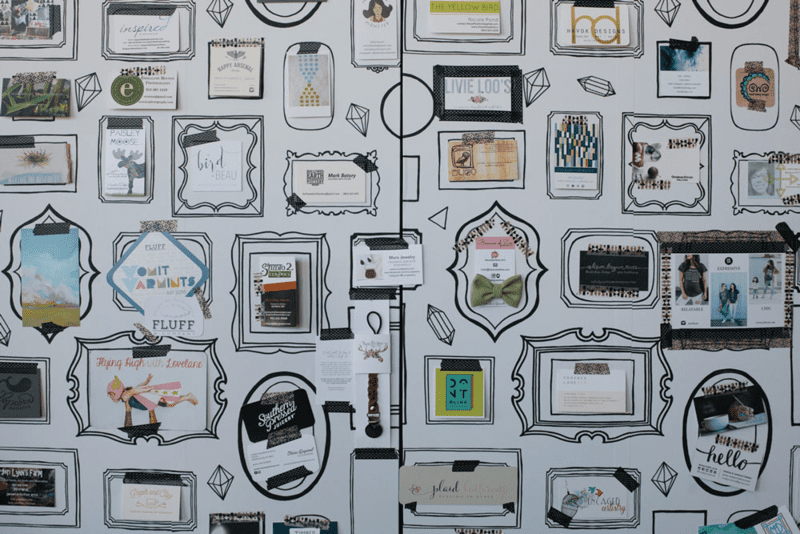 First on the list is the business card wall that made a beautiful visual guestbook for attendees and was the backdrop of many meetings as folks "framed" their cards. 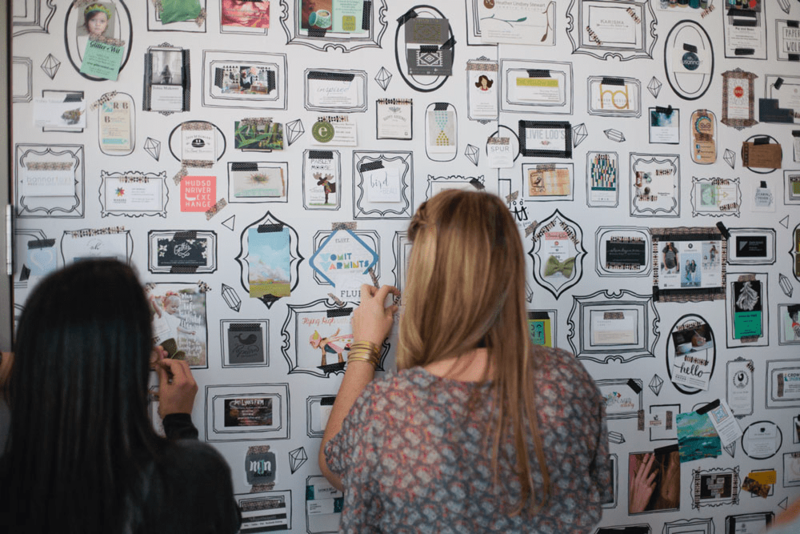 Today, Makers Collective Creative Director and Co-Founder Lib Ramos stops by the blog to show us how they created the most 'grammed area of the event, and she includes instructions for making your own business card wall! Lib: This year at The Makers Summit, we wanted to come up with a better way for people to connect with other attendees. We talked about several different guestbook kinds of ideas and landed on the idea of creating a business card wall using Spoonflower wallpaper. Judging by the number of business card wall photos under the #makerssummit hashtag on Instagram, it was a hit! We’re sharing how to create your own repeating pattern below, but if you like the one we made, you can also purchase it here.